Just a quiet evening on the front deck before dinner, and look who came to visit! We have been seeing more Monarch butterflies these last few weeks than I can ever remember. I took a chance to run in the house for my camera, and this must have been a very hungry butterfly! 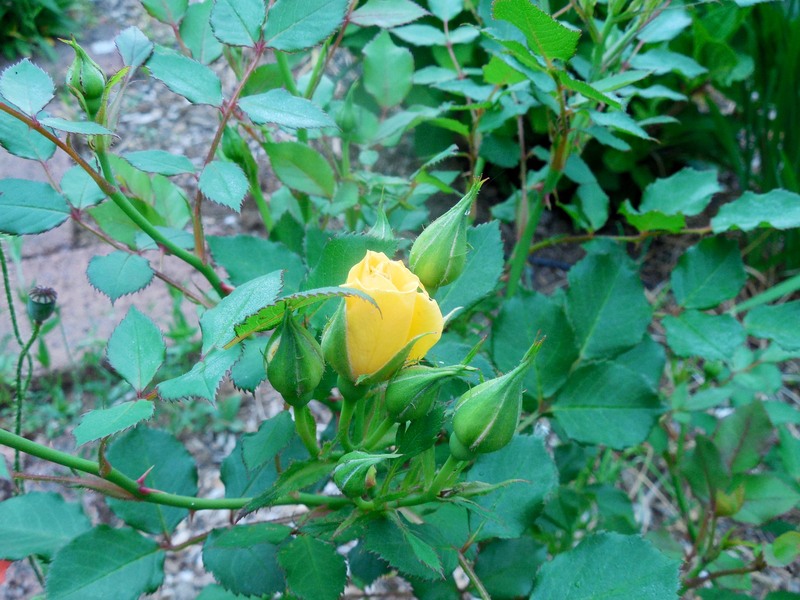 These golden wonders of nature are the pay-off for the hours spent in my flower garden. 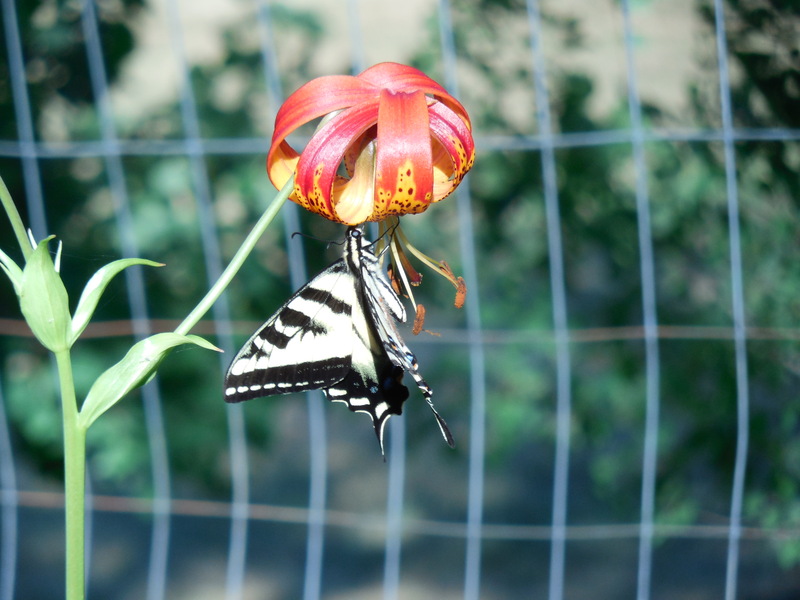 I have been planting bee, butterfly and bird attracting plants, and here is living proof that it worked! Categories: Uncategorized | Tags: attracting, bee, bird, butterfly, monarch, nature, plants | Permalink. 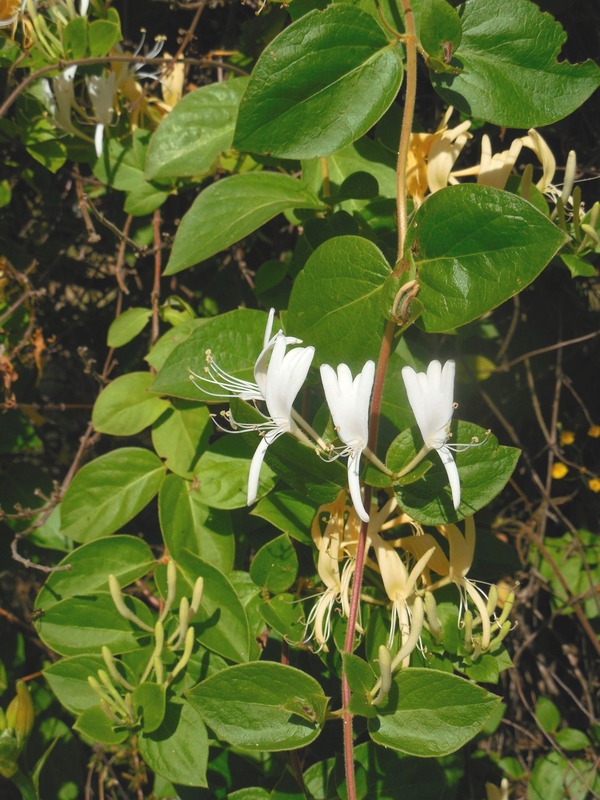 White flowers are essential for every garden, because they go with every color in a bouquet. There is even a plant nursery (in Connecticut, USA) that took the name White Flower Farm. * * * * * Last winter, I moved this Salvia, and it is looking better than ever. The flowers are staying a long time, which is a definite plus. 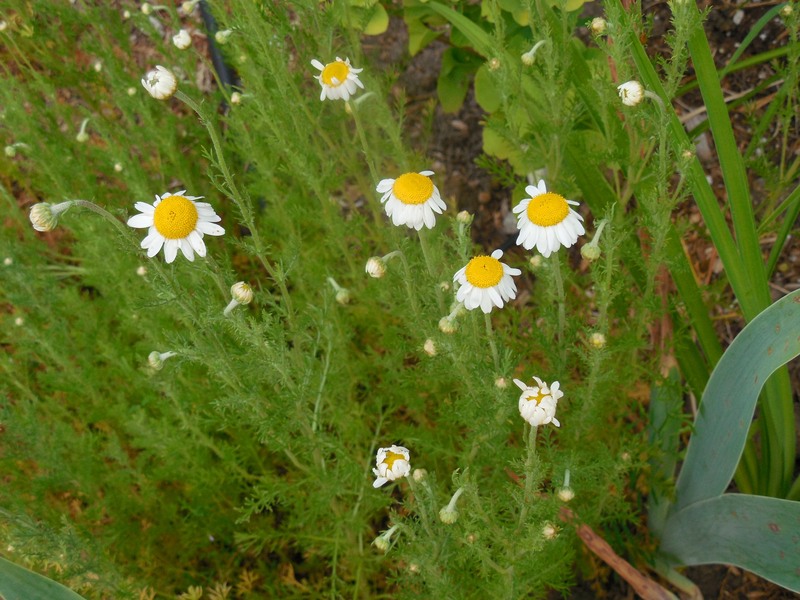 * * * * * The daisy-like flowers are what one would steep for a cup of Chamomile tea. 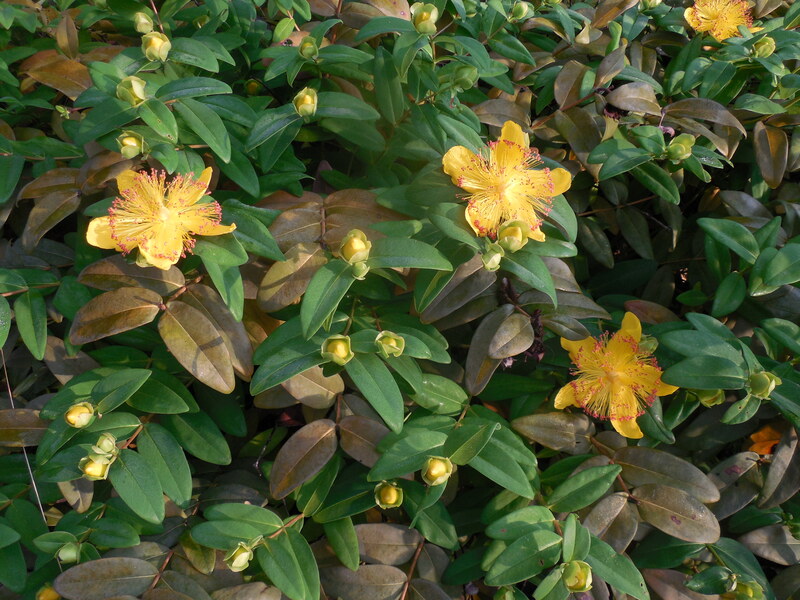 Personally, I like this plant for the evergreen, delicate foliage. 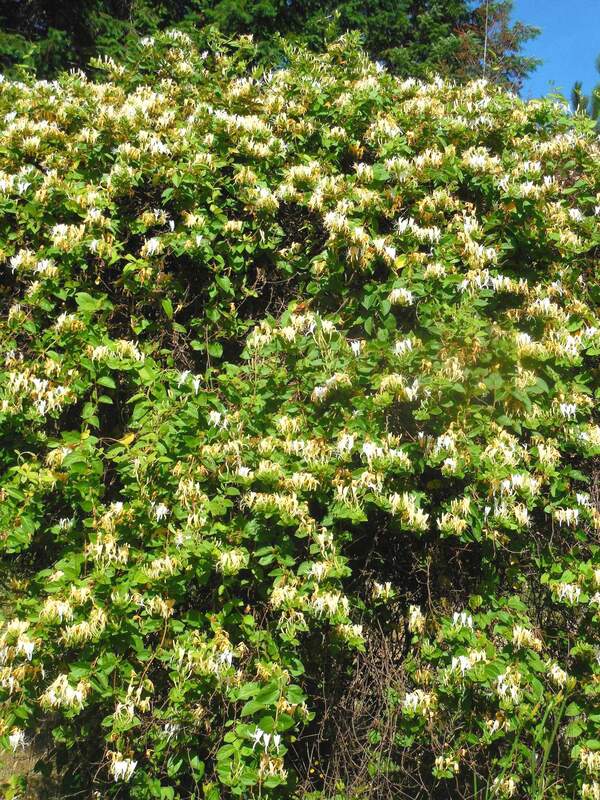 My honeysuckle has had the same home for so long the vine now covers a fence. 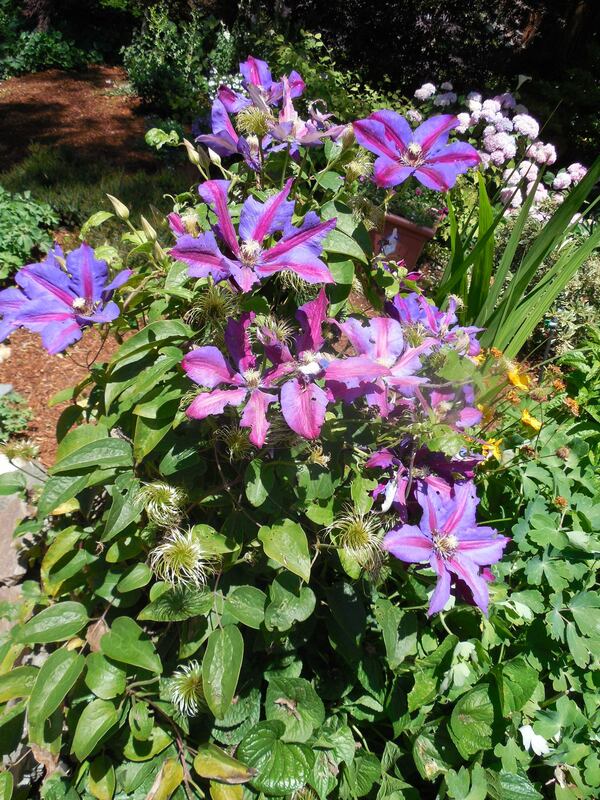 Its blooms continuously, so there are always flowers in various stages. When the wind is blowing just right, you can pick up the delicate scent from away. Ah, the field daisies! They look fabulous in a meadow. 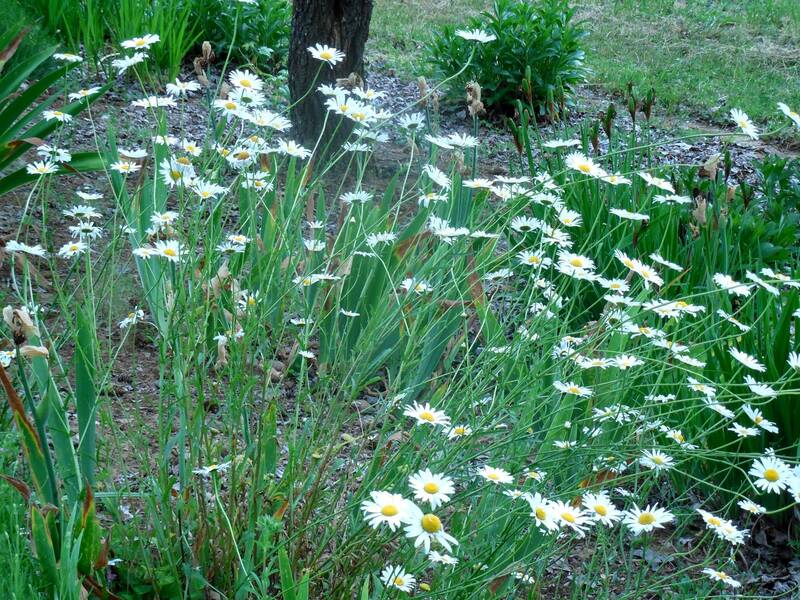 When my son was at home, and mowed the fields for us, he learned to mow around the field daisies, just because I liked them. 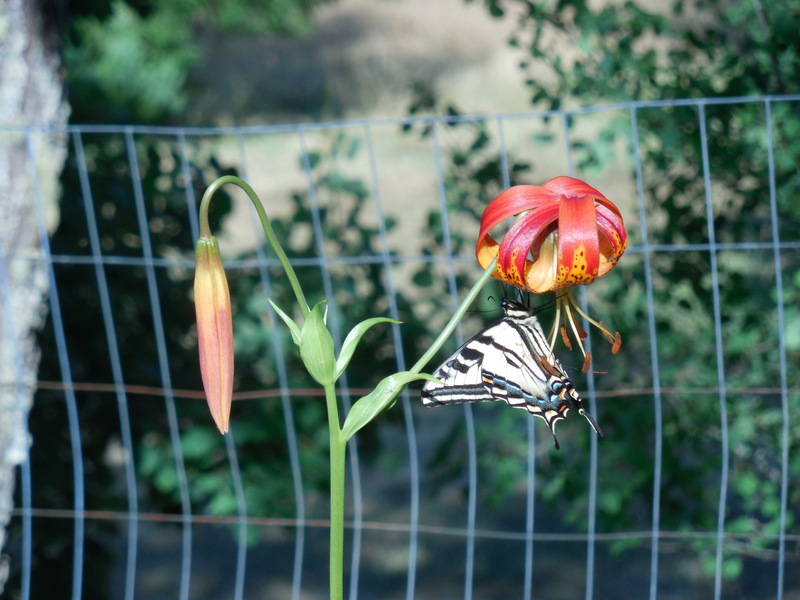 In the last couple of years, they have tried to make a home in my flower gardens. At first, I thought it was a treat, but all too soon, they took over. After blooming, they get ratty and mangy looking. This year, I am digging and digging and more digging to get them out of the cultivated area. Categories: Uncategorized | Tags: chamomile, daisies, field, flowers, honeysuckle, meadow, Salvia, tea, vine, white | Permalink. 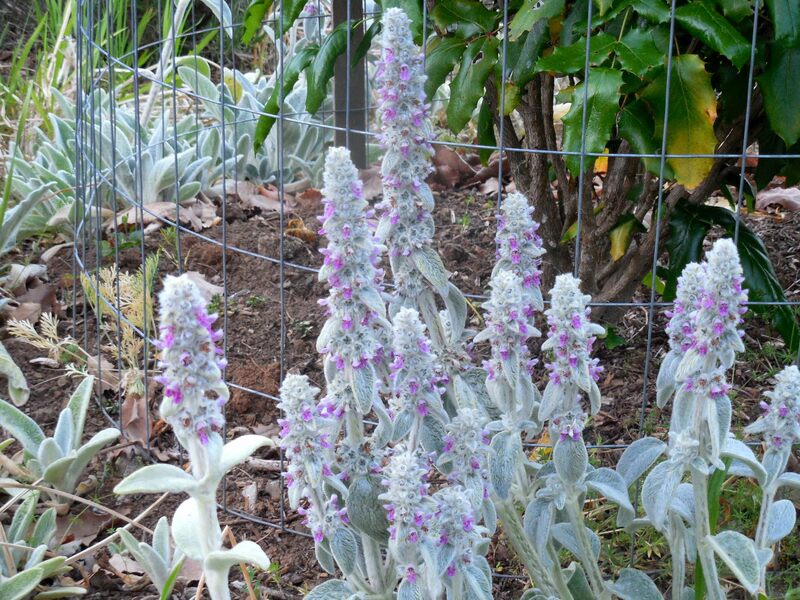 Lamb’s Ear makes a lovely ground cover and cut flower. 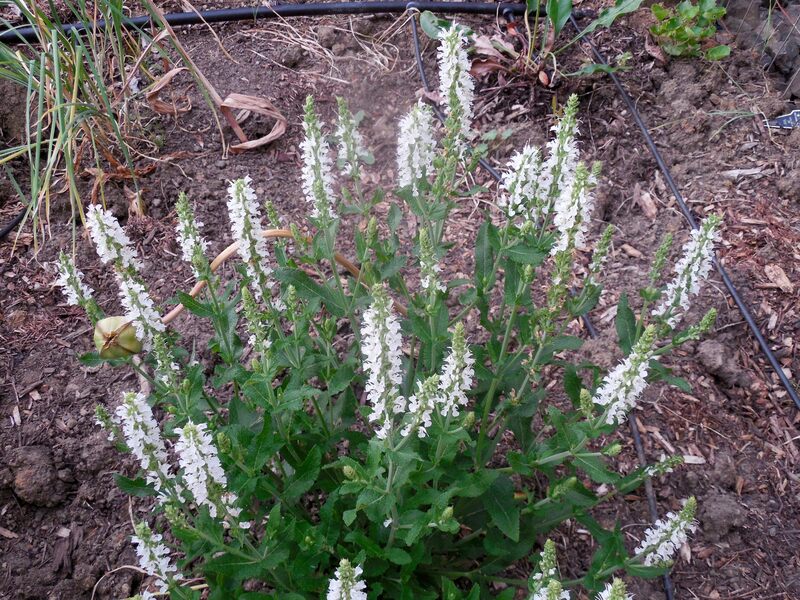 It can be invasive, which I control with minimal watering. 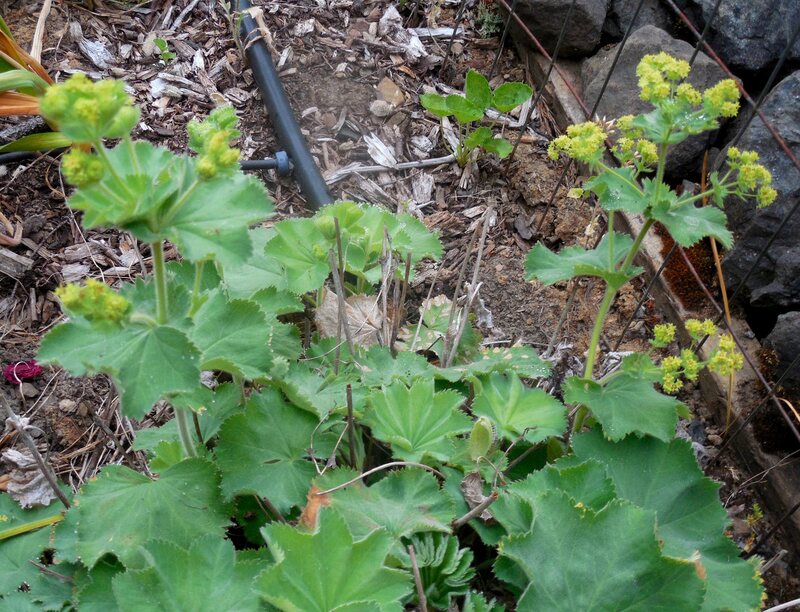 Another perk of this plant is that deer ignore it. Lavender looks so pretty when in bloom! I fell in love with the view of a hillside of lavender and have been slowly moving seedlings (if you don’t deadhead lavender, it loves to go to seed) into a pattern on the downhill side of my house. This has turned into a slow project, but one I have had fun pursuing. 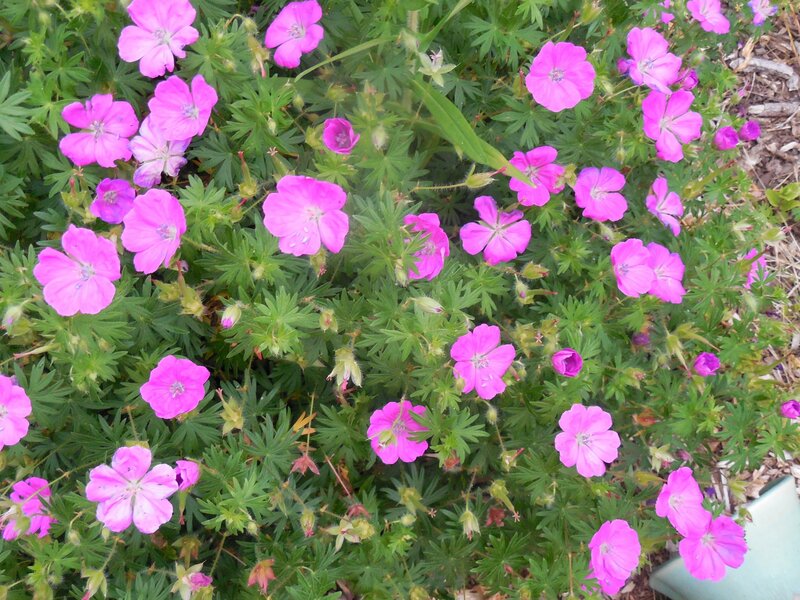 This perennial geranium is a cranesbill. Such a funny name. It too will reseed, and I cannot imagine deadheading these small flowers. The baby plants are easy to discard, if you don’t want to share them with other gardeners. 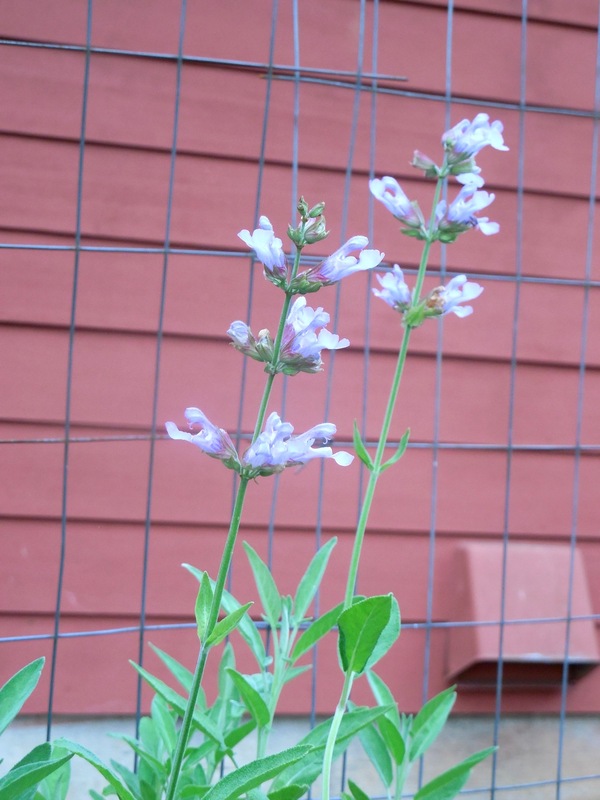 These sage flowers were tricky to photograph. I finally discovered the perfect background was right in front of me. This is a yearling plant that I purchased when I noticed the original was looking a little feeble. Sure enough, this spring, only one came back to life. 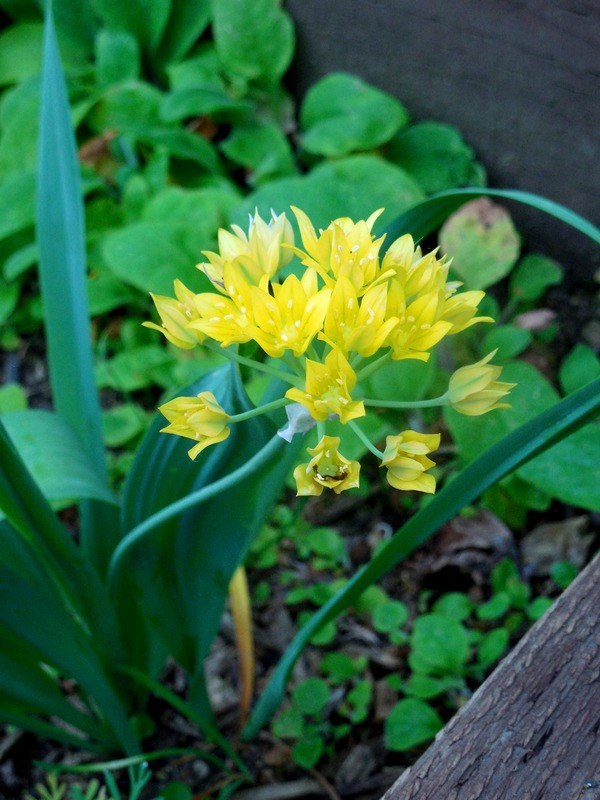 When I started flower gardening, I planted many garlic cloves in an effort to deter deer from nibbling my greenery. 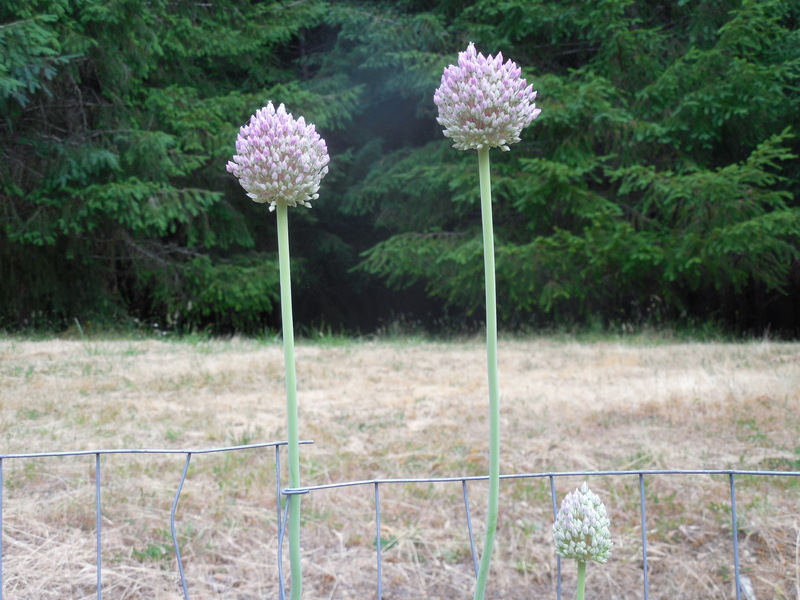 Now that fences (flower jails :-))have been erected around vulnerable plantings, the garlic is not so needed. But, they are rather pretty at this stage of life. 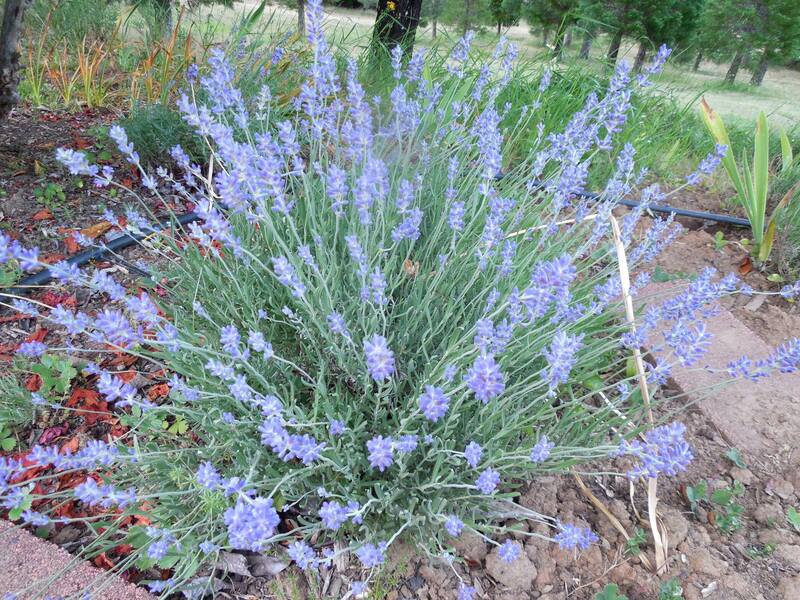 Categories: Uncategorized | Tags: clove, cranesbill, cut flower, deer, flower jail, garlic, geranium, groundcover, herb, invasive, lamb's ear, lavender, perennial, reseed, sage | Permalink. From what I can determine this specimen is in the papyrus family. 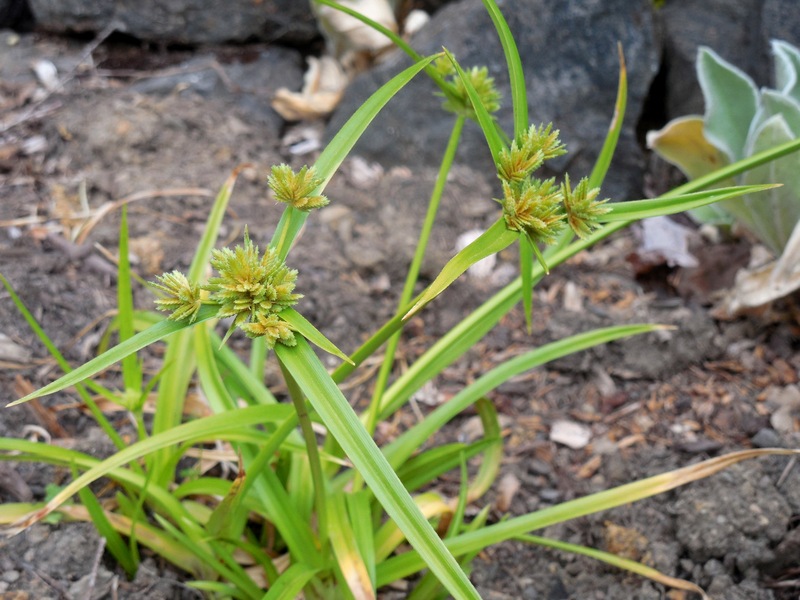 It does re-seed itself, but not on an invasive level. 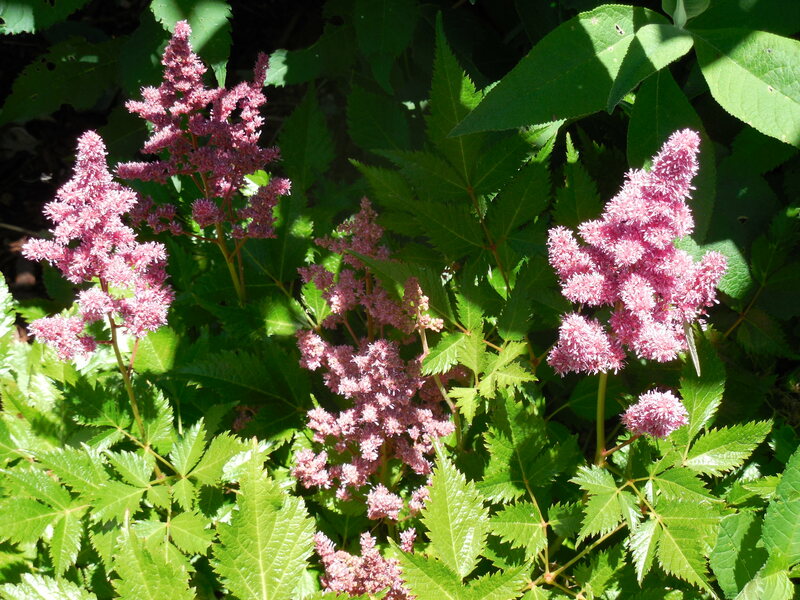 This medium-small plant can take lots of sun, looks unusual in the garden and I like it! 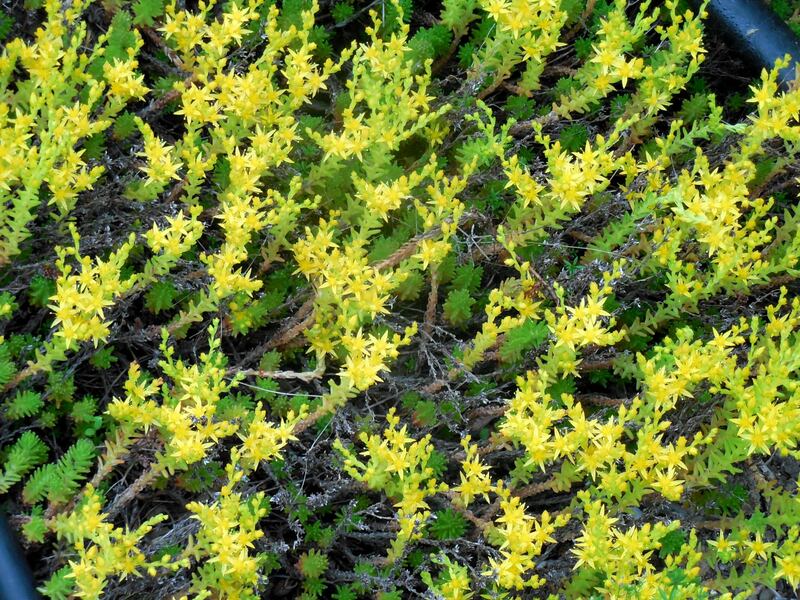 On the other hand, this plant has shown itself to be invasive. 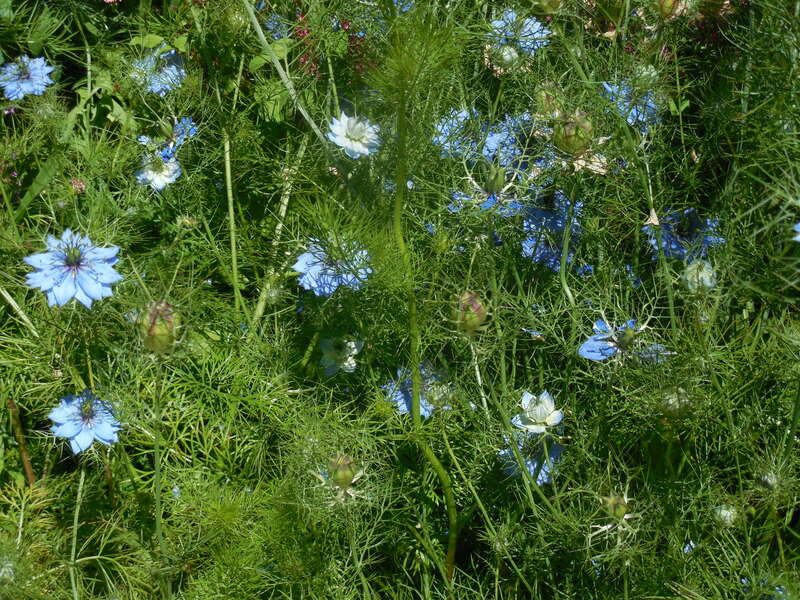 My plan this year, is to prune off all the ‘flowers’ so it cannot reseed itself. I believe it is a sea holly, but, to me, it resembles a thistle. On a positive note, the deer are not remotely interested in this greenery. 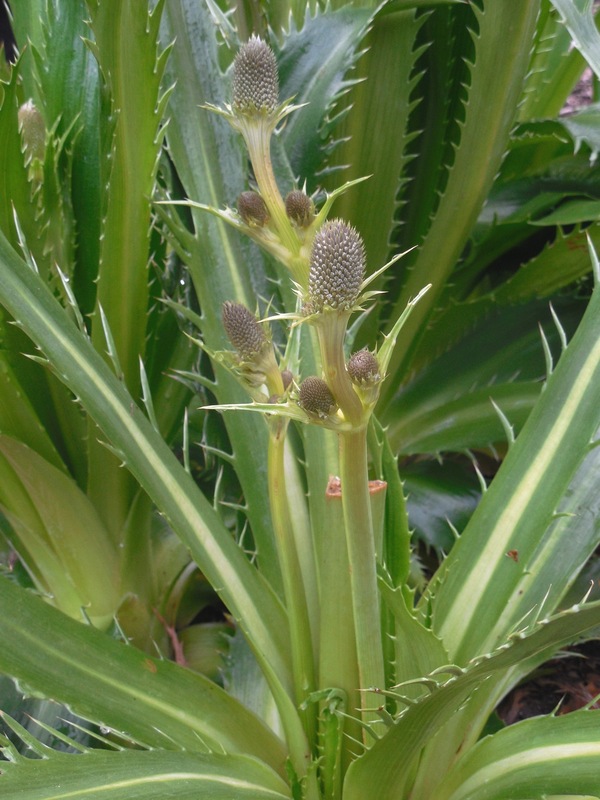 Categories: Uncategorized | Tags: deer-proof, greenery, invasive, papyrus, plant, sea holly, thistle | Permalink. 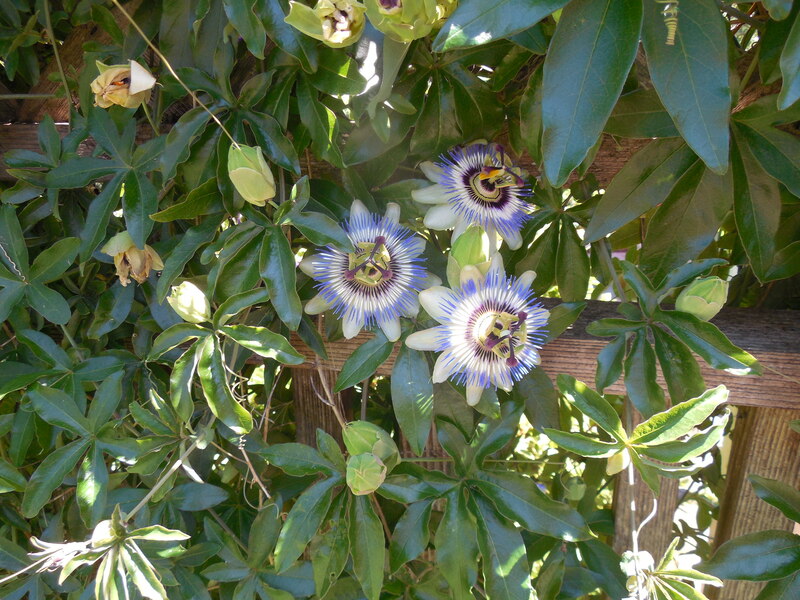 Oh, the Passionflowers were gorgeous! The vine worked its way along an open wire fence, where it made a beautiful privacy wall between neighbors. 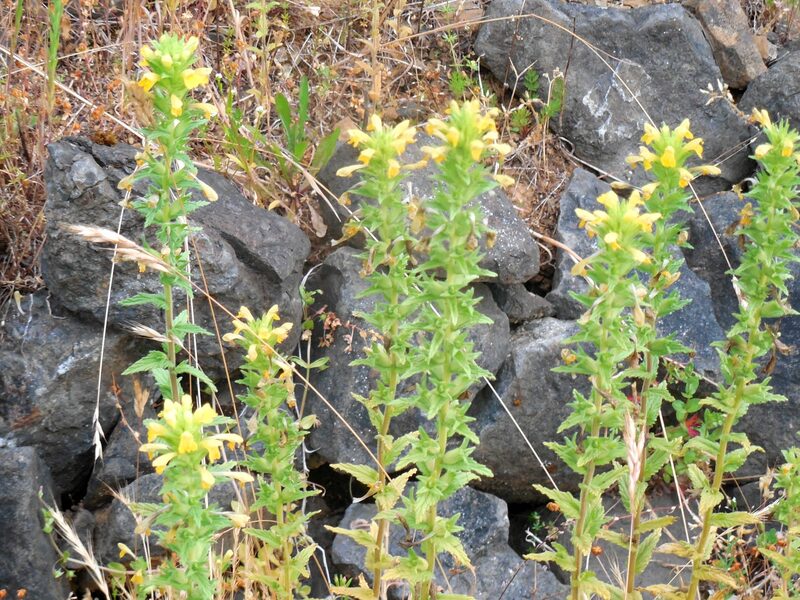 It must live in a warm micro-climate, as passionflowers are marginal in this agricultural zone. 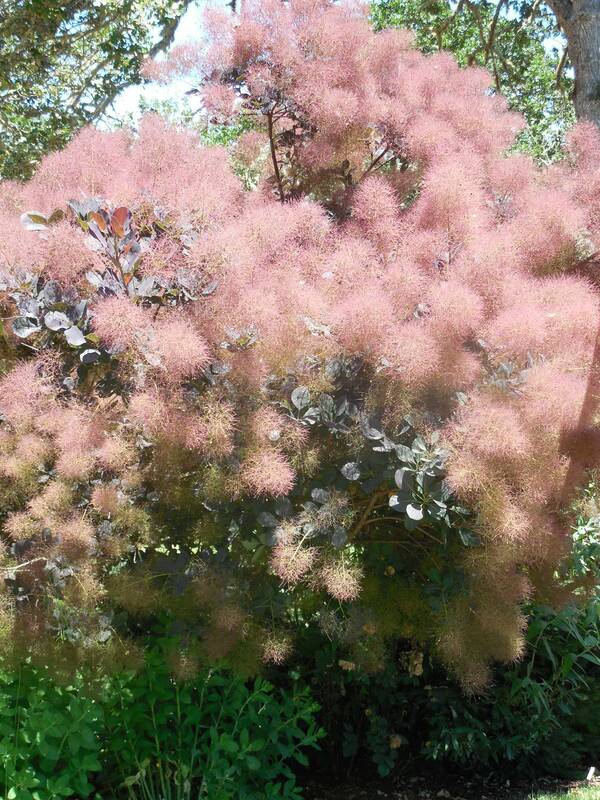 I love the look of Smoke Bush/Tree in bloom. Mine did not come back this year, which I have blamed on wet feet. Drainage at that location in my yard was way too slow. It will take some work before anything more than shallow perennials can be planted there. In the meantime, I admired this specimen. Aren’t these gorgeous? Even the spent flowers are pretty! I really like this flower. It is living in full sun. 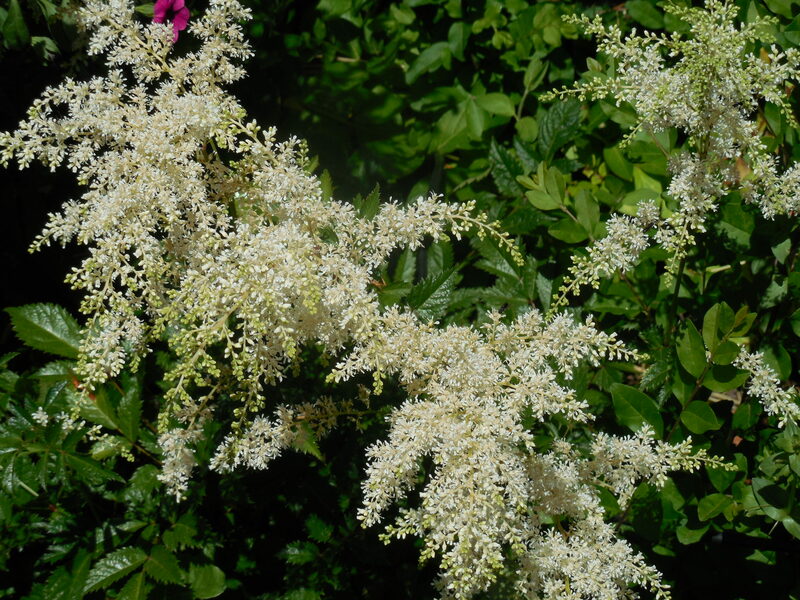 Categories: Uncategorized | Tags: astilbe, garden tour, micro-climate, passionflower, privacy wall, smoke bush, smoke tree | Permalink. The good news is we have lots of birds here, the bad news is that they love strawberries. For a few years now, we have netted the berries which improved the yield. But the stakes were putting large holes in the bird netting. This year we got the idea of cutting holes in old tennis balls to soften the top of the stakes, and save our nets. It seems like a good idea, we will know at the end of the season just how great this plan turned out to be. Now we still have challenges to the berry crop from ground pests. But one challenge at a time. 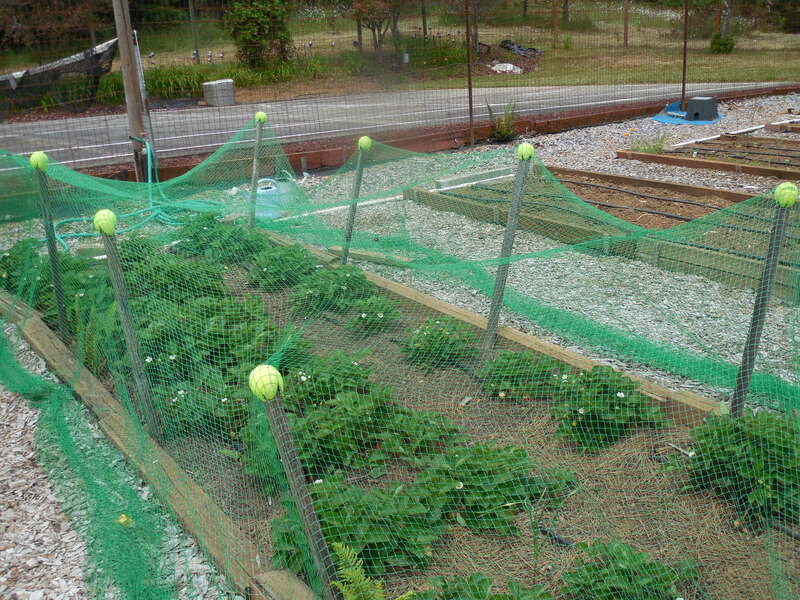 Categories: Uncategorized | Tags: birds, netting, strawberries, tennis balls | Permalink.